The rise and rise of Android has seen it become the second biggest operating system in the world, according to the latest figures. Gartner's research suggests that, with worldwide smartphone sales up by a whopping 96 per cent and hitting 19.3 per cent of the total market, Apple and Android handsets are changing the market. "This is the third consecutive double-digit increase in sales year-on-year, indicating that consumer demand is healthy," said Carolina Milanesi, research vice president at Gartner. "This quarter saw Apple and Android drive record smartphone sales," she added. "Apple's share of the smartphone market surpassed Research In Motion (RIM) in North America to put it second behind Android while Android volumes also grew rapidly making it the No. 2 operating system worldwide." 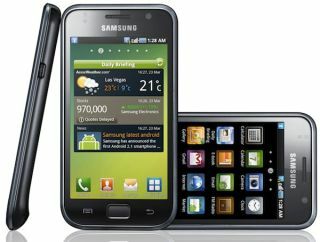 Nokia, Samsung and LG – in that order – have clung on to the market leader manufacturer spots, although Apple has now leapfrogged over RIM into fourth spot. According to Gartner's figures, 25.5 per cent of all smartphones sold carried the Android OS, still some way behind Symbian on 36.6 per cent. But, the same quarter last year saw Symbian take a 44.6 per cent share of the market, compared to just 3.5 per cent for Google's Android. Apple's iOS lost a little in terms of percentage, but with the total market doubling, the iPhone manufacturer shifted almost twice as many handsets. RIM – the makers of BlackBerry phones – moved from a 20.7 per cent share to 14.8 per cent share, whilst Microsoft will be keen that its newly introduced Windows Phone 7 can arrest a slide from 7.9 per cent of sales to just 2.8 in the past quarter's figure.